Home Uncategorized How to Get a Facebook Page Access Token? 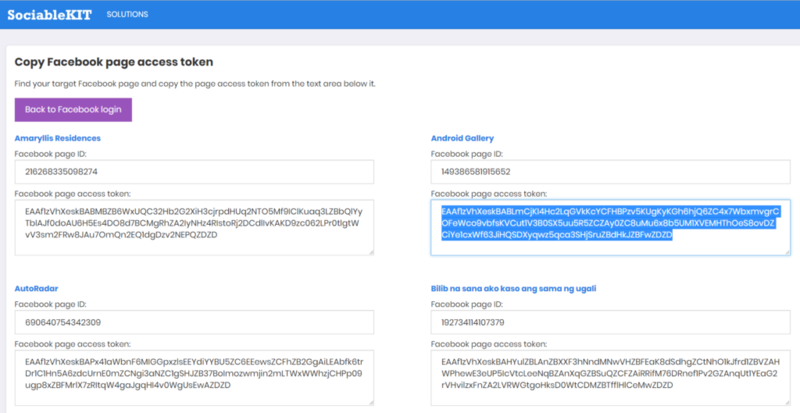 How to Get a Facebook Page Access Token? 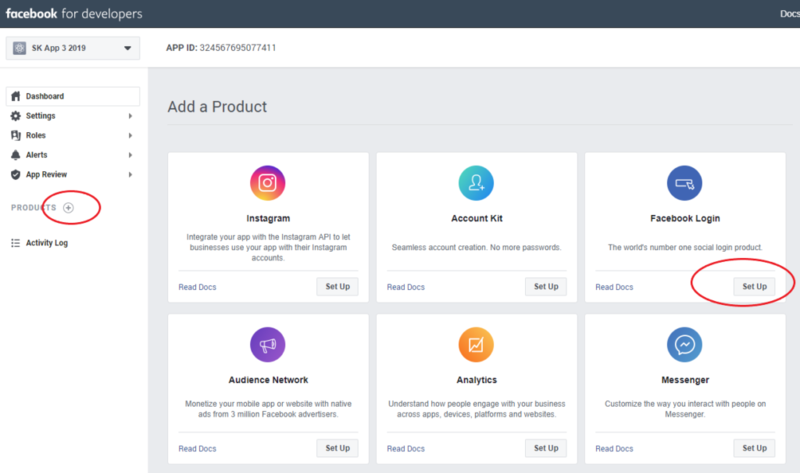 Facebook requires a Page Access Token if you want to use the data from your Facebook page, customize it and embed it on your website through SociableKIT. 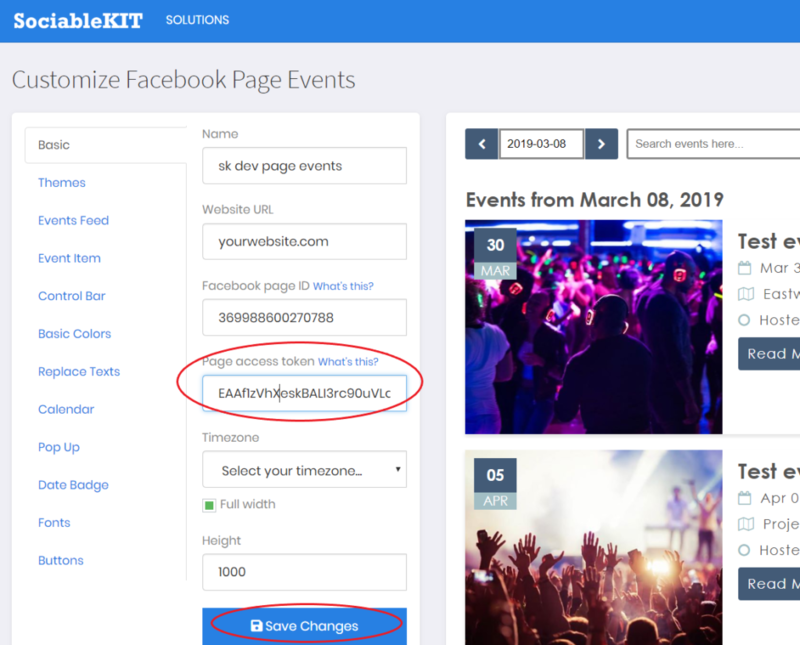 For example, in SociableKIT Facebook Page Events Solution, a page access token is required if you want to display high quality event images, event description, maps, past events, hourly sync and other useful features. 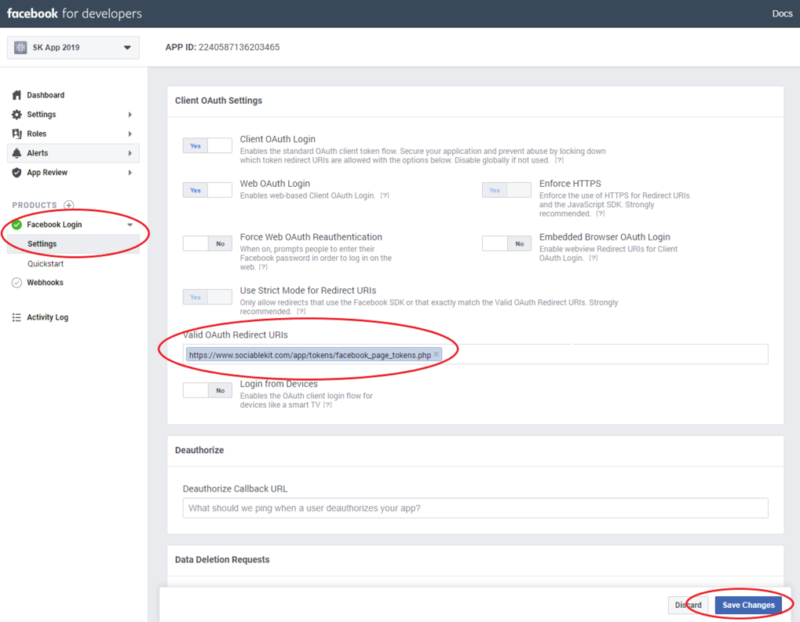 How to get a Facebook page access token? Follow steps below. This will work only if you are an admin of the Facebook page you’re trying to get data from. 1. Go to developers.facebook.com and login with your Facebook account. 2. On the upper right corner, click “My Apps” and “Add New App”. 3. On the pop up, enter your “Display Name” and “Contact Email” and click “Create App ID” button. 4. Click “Settings”. Click “Basic” menu. Take note of your “App ID” and “App Secret” keys. See Image 1 below. 5. Enter “www.sociablekit.com” on your “App Domains” field. Click the blue “Save Changes” button at the bottom. 6. Click Products “+” button. Click Facebook Login “Set Up” button. See Image 2 below. 8. Login your SociableKIT account and go to this page. Enter your App ID and App Secret. Click the blue button. 9. Find your target Facebook page and copy the page access token from the text area below it. See Image 4 below. 10. Go back to SociableKIT dashboard. Paste the access token in “Page Access Token” field. Hit the “Save Changes” button at the bottom. Using the page access token, you can also make an event from another Facebook page appear on your events feed. But your page need to be a co-host of that event first. Follow this tutorial if you want to be an event co-host. 1. You did not changed your password. 2. Your account was not affected by the recent Facebook security issues. If you think your events feed is not syncing correctly, you need to re-enter your “page access token” so that your event images will look better, it will update every hour and it will show the past events. Please follow our tutorial above carefully. Next articleHow to add a Facebook page as event host? Hello, I am trying to follow the tutorial, but it seems like the converter is not working currently. Is there any other way how to get unlimited token for now? Thanks! Hi Adam, make sure you entered a ‘Page’ type access token, not a ‘User’ type token. Click here to verify if your access token is of ‘Page’ type and if it is still valid. Please follow our tutorial carefully. Hi @ppclouder, if your token says it never expires, you don’t need to use the access token converter. I’d like to do it programatically, Is it possible? Hi Joab, unfortunately, no, it is not possible to do. Hi Ellen, sorry for the late reply. We updated the tutorial above, would you follow it and see if the error is still there?